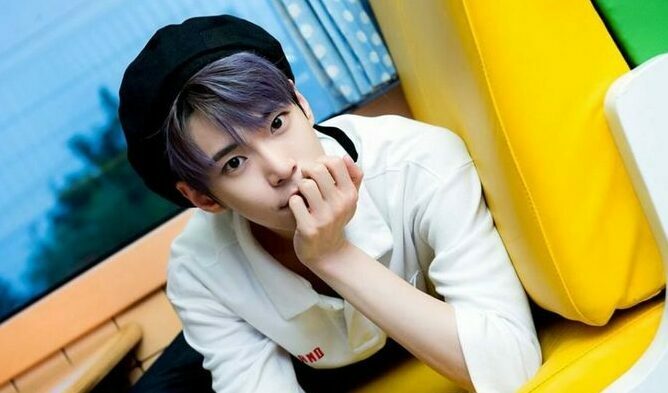 NCT fans, NCTzen, have had some different challenges going on Twitter. Many fans have been participating. Here is the story. NCT member JeNo said that he liked the taste of lip balm on a V-Live. 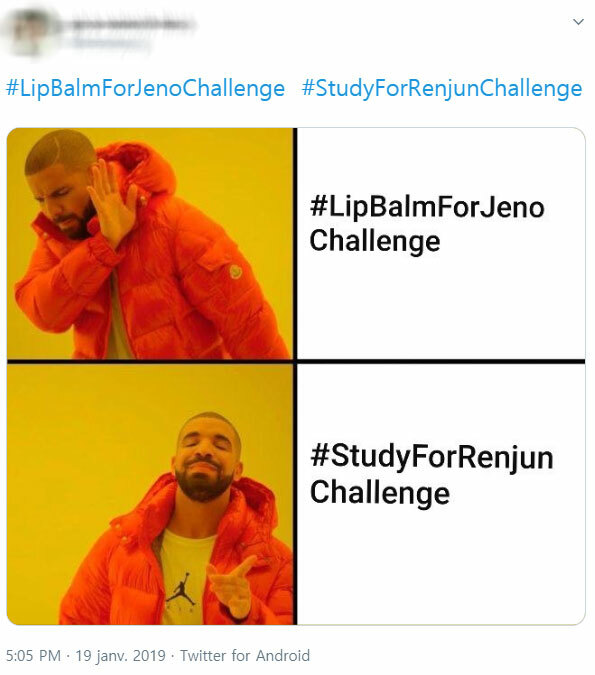 A part of the fandom started a challenge on Twitter with the hashtag #LipBalmForJenoChallenge. 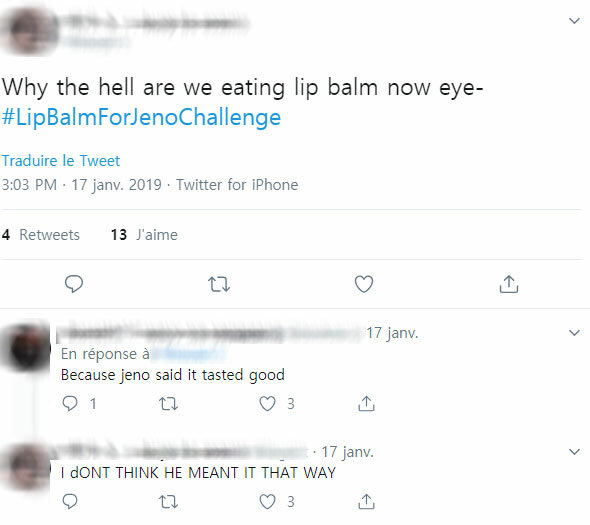 The challenge consists of eating lip balm and sharing the proof of it on Twitter. Countless of fans participated in the lip balm eating challenge. 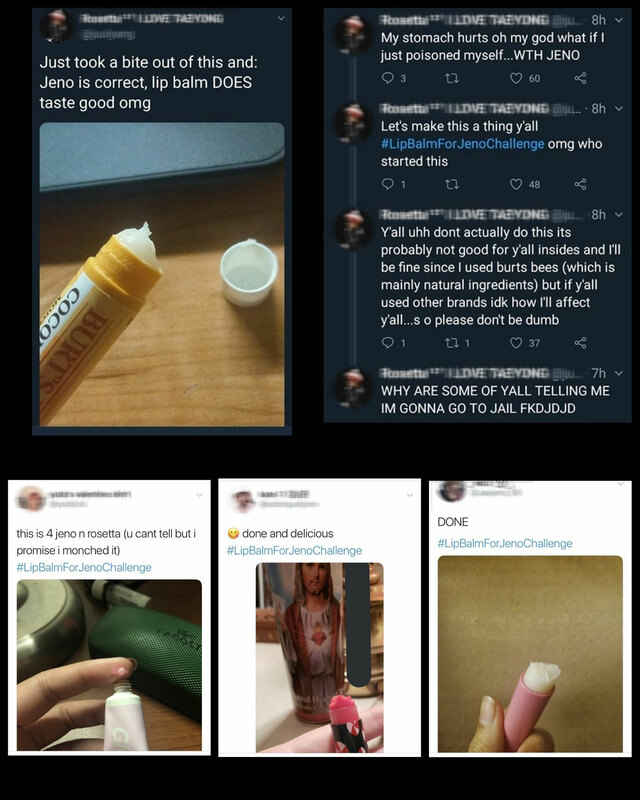 Eating lip balm is harmful but some fans still went for the challenge. At the sight of it, another part of the fandom was horrified by it. Fans highlighted the health issues it could lead to and how dangerous it is to eat that huge amount of lip balm. 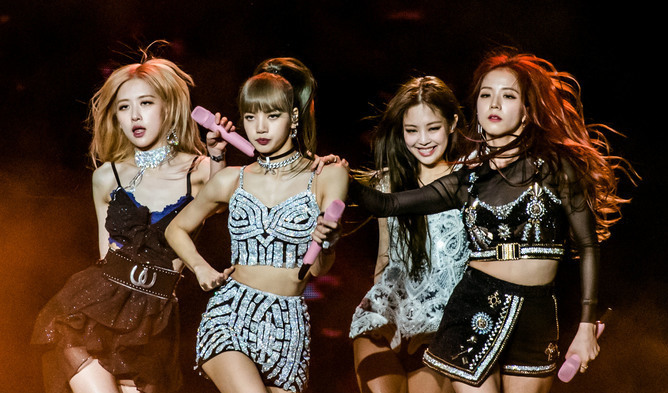 They then started a new challenge to permit fans to continue to do the challenge for the members but in a safe way. 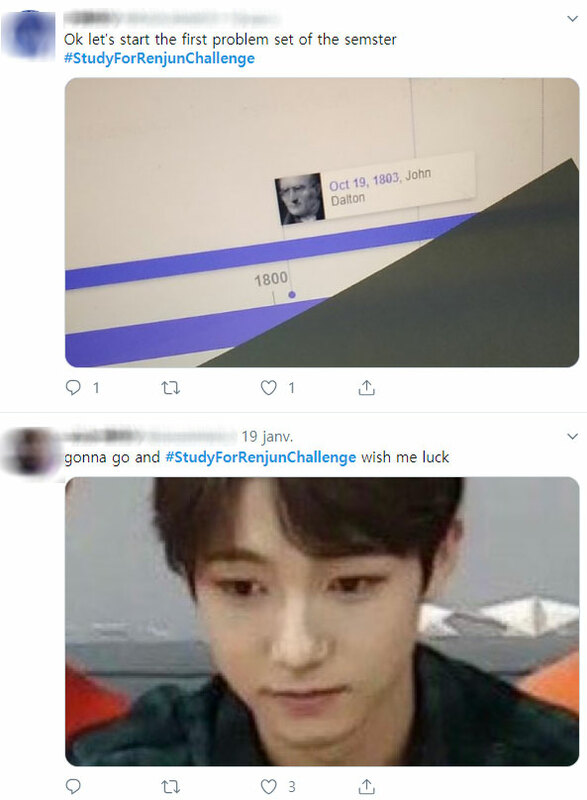 They come up with #StudyForRenjunChallenge. The challenge asks fans to study hard. 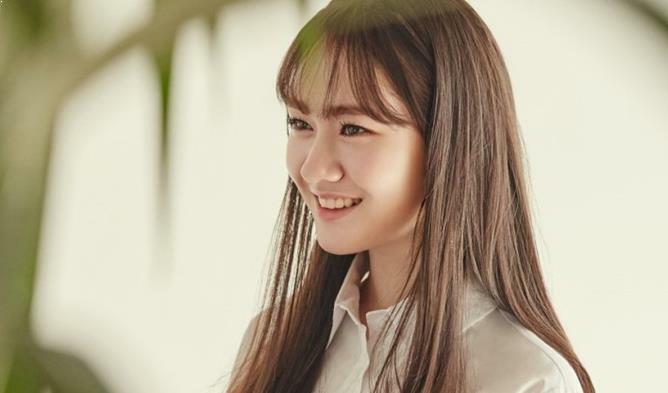 For it, fans have been posting about their grades online. It seems that NCTzen are enthusiast to do challenges for the boys. Thank you @aheeji for the tip. Read More : Fans ‘Blinded’ By NCT Mark’s Outfit, Jokingly Call Him A Walking Lightstick?